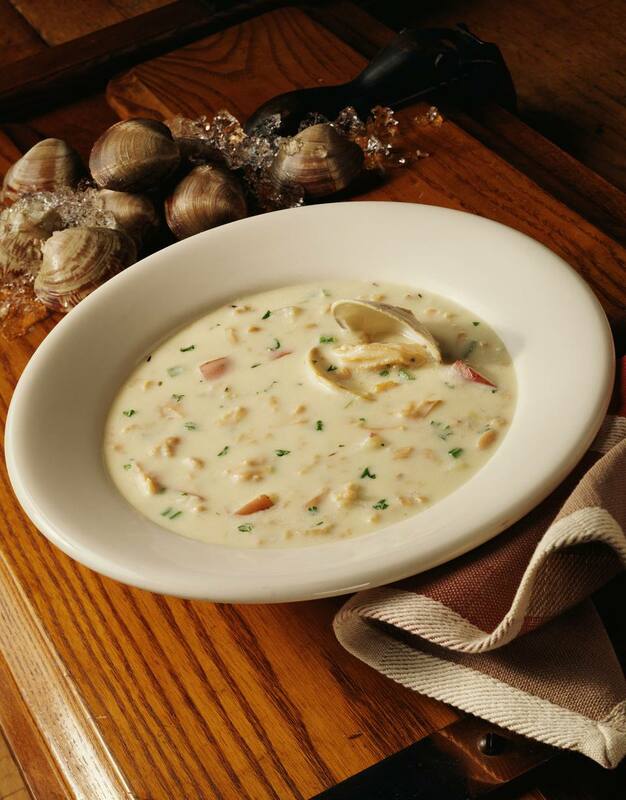 Like most clam chowders, Legal Seafood's recipe includes littleneck clams, garlic, onions, potatoes, and cream. Yet, there's a secret ingredient that makes it stand out from all the other chowder recipes. The key to that signature flavor is nothing more than a little salt pork and the cracklings produced while rendering it. Clean the clams and place them in a large pot along with the garlic and water. Steam the clams until they open (about 6 to 10 minutes, depending upon their size). Drain and shell the clams, reserving the broth in a bowl. Mince the clam flesh and set aside. Filter the clam broth either through coffee filters or cheesecloth and set aside. In a large, heavy pot slowly render the salt pork. Remove the cracklings and set them aside. Slowly cook the onions in the fat, stirring frequently for about 6 minutes, or until cooked through but not browned. Stir in the flour and cook while stirring continuously for 3 minutes. Add the reserved clam broth and fish stock, and whisk to remove any flour lumps. Bring the liquid to a boil, add the potatoes, lower the heat, and simmer until the potatoes are cooked through (about 15 minutes). Stir in the reserved clams, salt pork cracklings, and light cream. Heat the chowder until it is the temperature you prefer. Serve in large soup bowls with oyster crackers on the side. Recipe Source: "Legal Seafoods Cookbook" by George Berkowitz, Jane Doerfer (Doubleday). Reprinted with permission.